Do you ever get that overwhelming feeling where you just really need to talk things out? Whether it be a bad day you need to process, a confusing situation you need advice on, or in my case, a plethora (20 pairs to be exact) of cute shoes I need to vent about, sometimes, talking about them out loud helps to clear your head and bring you peace. Basically, there are a ton of incredible shoes on the market right now, just waiting for stylish people like you and I to buy them, but why does there have to be so many to choose from? Where do we start? How much do we spend? Do we just accept the fact that we'll never be able to own them all? How long will this shopping-addicts-anonymous anxiety last? Forever? I digress. As stated previously, this is an issue I need to talk through, as I process the goodness that is satin pumps, color-block sneakers, and feather-adorned sandals. Ahead, get ready to talk through each potential shoe purchase that's looming over my head with me, because once you see the shoes we're dealing with, you'll have a lot to say too, trust me. I feel like these are the kind of shoes you can throw on with whatever you're wearing. Although they are pink, they just seem so easy to wear. These might just be the simplest, chicest "naked shoes" I've ever seen. Therefore, I should just get them, right? Sam Edelman, bravo. These are the summer sandals I have been subconsciously looking for. 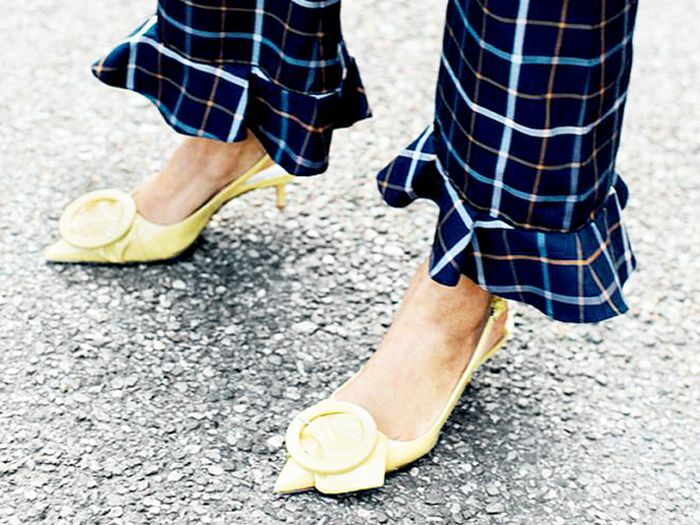 Kitten heels, mesh with polka dots, and under $100? I mean, how could anyone not buy these? Taking a walk on the wild side has never looked so fun. When I see these, I see my Levi's new best friend, because let's be real, these would look incredible with a good pair of denim. Three words: summer ankle boots. Color-block your way through the season with these subtly festive block heels. They aren't fussy and will be comfortable to wear, and the bright red straps make them perfect for whatever you have planned. Toe straps are a major summer shoe trend right now, and these guys are lilac… lilac! Passing on these is not an option. So, these have been on my wish list for a while now. They also come in a variety of other colors that make my heart hurt because if I ever get them, I'll have to choose between the hues and that is a devastating task. If you can pass on feather-adorned shoes right now, I respect you immensely because they are currently one of my biggest weaknesses. If you're going to wear Vans, make sure they are cool Vans. These are unexpected, fun, and will prevent you from accidentally wearing the same shoes as everyone else (since everyone has the black pair). Simple satin slides are a must for those days when you have not the faintest idea which shoes you should slip into. Easy, breezy, and beautiful, if you ask me. 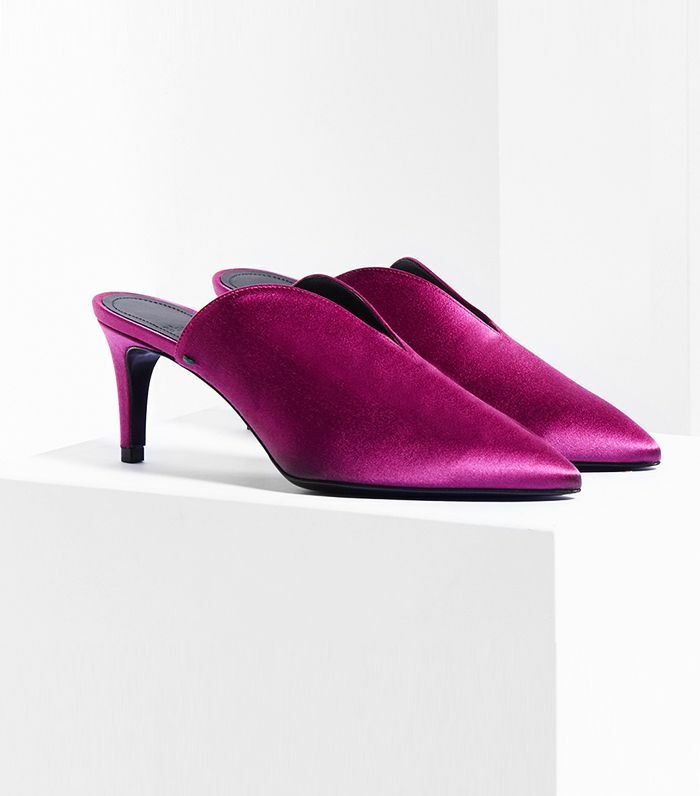 The combination of the millennial pink, the woven texture, and the slightly asymmetrical heel creates a pair of shoes that is painful to resist. Did we just strike gold or what? Only $20, people! I already own these, but I love them so much that I wouldn't hate owning a second pair. Not that that makes much sense, but I just wanted to expand on the fact that I am really that obsessed with these shoes. The summertime way to wear loafers (that isn't boring). House slippers just got a major makeover, and I'm into it. It's kind of unfair how pretty these are. These are the kinds of shoes you put on when you're having a bad day. That way, whenever something goes wrong, you can glance down at your feet and think, at least I have these. Everyone in our office seems to sport these elevated slide sandals and with good reason. Up next, shop everything you need for summer all under $100.